What is a Nobel Prize and Who is Alfred Nobel? Since 1901, the Nobel Prize has been honoring men and women from all corners of the globe for outstanding achievements in physics, chemistry, physiology or medicine, literature, and for work in peace. I list the list of Nobel Prize in Physiology or Medicine below from 2001 to 2018. The foundations for the prize were laid in 1895 when Alfred Nobel wrote his last will, leaving much of his wealth to the establishment of the Nobel Award. But who was Alfred Nobel? They present here articles, photographs, a slide show, and poetry written by Nobel to give a glimpse of a man it reflects whose varied interests in the prize he established. The Nobel Prize in Physiology or Medicine 2018 was awarded jointly to Tasuku Honjo, and James Allison. Cancer kills millions of people every year and is one of humanity’s greatest health challenges. By stimulating the inherent ability of our immune system to attack tumor cells this year’s Nobel laureates have established and entirely new principle for cancer therapy. 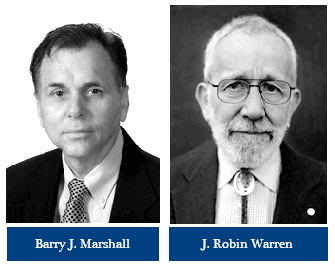 The Nobel Prize in Physiology or Medicine 2017 was awarded jointly to Jeffrey C. Hall, Michael Rosbash and Michael W. Young “for their discoveries of molecular mechanisms controlling the circadian rhythm“. The Nobel Prize in Physiology or Medicine 2016 was awarded to Yoshinori Ohsumi “for his discoveries of mechanisms for autophagy“. The Nobel Prize in Physiology or Medicine 2015 was divided, one-half jointly to William C. Campbell and Satoshi Ōmura “for their discoveries concerning a novel therapy against infections caused by roundworm parasites“ and the other half to Youyou Tu “for her discoveries concerning a novel therapy against Malaria“. The Nobel Prize in Physiology or Medicine 2014 was divided, one-half awarded to John O Keefe, the other half jointly to May-Britt Moser and Edvard I. Moser “for their discoveries of cells that constitute a positioning system in the brain“. The Nobel Prize in Physiology or Medicine 2013 was awarded jointly to James E. Rothman, Randy W. Schekman and Thomas C. Südhof “for their discoveries of machinery regulating vesicle traffic, a major transport system in our cells“. The Nobel Prize in Medicine 2011 was divided, one-half jointly to Bruce A. Beutler and Jules A. Hoffmann “for their discoveries concerning the activation of innate immunity“ and the other half to Ralph M. Steinman “for his discovery of the dendritic cell and its role in adaptive immunity“. 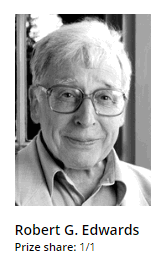 The Nobel Prize in Physiology or Medicine 2010 was awarded to Robert G. Edwards “for the development of in vitro fertilization“. 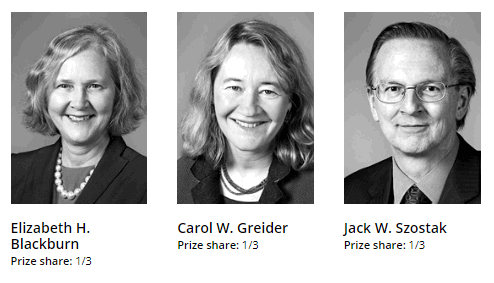 The Nobel Prize in Physiology 2009 was awarded jointly to Elizabeth H. Blackburn, Carol W. Greider and Jack W. Szostak “for the discovery of how chromosomes are protected by telomeres and the enzyme telomerase“. The Nobel Prize in Chemistry 2009 was awarded jointly to Venkatraman Ramakrishnan, Thomas A. Steitz and Ada E. Yonath “for studies of the structure and function of the ribosome“. The Nobel Prize in Medicine 2008 was divided, one-half awarded to Harald Zur Hausen “for his discovery of human papilloma viruses causing cervical cancer“, the other half jointly to Françoise Barré-Sinoussi and Luc Montagnier “for their discovery of human immunodeficiency virus“. The Nobel Prize in Physiology or Medicine 2007 was awarded jointly to Mario R. Capecchi, Sir Martin J. Evans and Oliver Smithies “for their discoveries of principles for introducing specific gene modifications in mice by the use of embryonic stem cells“. The Nobel Prize in Medicine 2003 was awarded jointly to Paul C. Lauterbur and Sir Peter Mansfield “for their discoveries concerning magnetic resonance imaging“. The Nobel Prize in Physiology or Medicine 2002 was awarded jointly to Sydney Brenner, H. Robert Horvitz and John E. Sulston “for their di, coveries concerning genetic regulation of organ development and programmed cell death’“. The Nobel Prize in Medicine 2001 was awarded jointly to Leland H. Hartwell, Tim Hunt, and Sir Paul M. Nurse “for their discoveries of key regulators of the cell cycle“.